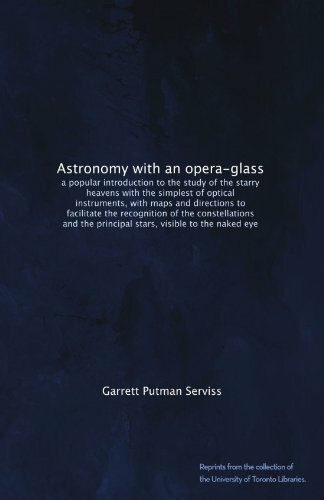 In the pages that follow, the author has endeavored to encourage the study of the heavenly bodies by pointing out some of the interesting and marvelous phenomena of the universe that are visible with little or no assistance from optical instruments, and indicating means of becoming acquainted with the constellations and the planets. The Science of Astronomy is sublime and beautiful. It gives us wings, and bears us through Infinitude. In these ethereal regions all is pure, luminous, and splendid. Dreams of the Ideal, even of the Inaccessible, weave their subtle spells upon us.